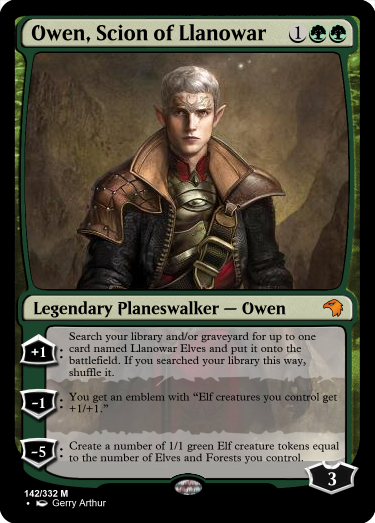 So for your next challenge.. Design a planeswalker that references another card by name. 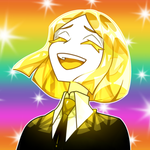 Have fun, everyone! Maybe he should be "druids"? step, return Jhoira to the field transformed. to discard a card and you gain 2 life. 2 damage to target creature. I did what I usually do with these challenges. I pressed the random button... and got Mogg Raider. : Create two 1/1 red Gblin crerature tokens. : Search your library for a card named Mogg Raider and put it onto the battlefield. Then shuffle your library. : Oumgl, Scourge of Rath deals damage to each opponent equal to the number of Goblins you control plus the number of Goblin cards in your graveyard. : Choose up to one target creature you control. Until end of turn, when that creature dies, return that card from your graveyard to your hand. : Search your library and/or graveyard for a card named Miasmic Mummy, reveal it, and put it onto the battlefield. If you search your library this way, shuffle it. : Return any number of target creature cards with total converted mana cost seven or less from your graveyard to the battlefield. : If you control an artifact, draw a card. If that artifact has indestructible, draw two cards instead. : Search your library for an artifact card with converted mana cost X or mess and put it into your hand. Then shuffle your library. : You may discard a card. If you do, draw two cards. : Search your library, hand and/or graveyard for up to three cards named Lightning Strike and cast them without paying their mana costs. If you searched your library this way, shuffle it. Well, I've been waiting for the final rush to flow in - but as it didn't, I guess I'll close this contest now. Please no further changes of entries! @Neottolemo: To be honest I did not expect anyone to work with a custom card to reference to, but I definitely apprechiate the creativity – also this sure is an interesting card to work with. Her is really interesting (aside from obviously working well with the Mage) even though I'm not really sure if it fits into red considering the only colored comparison clearly is rather blue instead. Also I have to admit I'm not the biggest fan of her as it's either completely useless or (given the right deck) borderline broken – even though I know some players like this kind of abilities. I do however really, really like her . 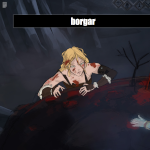 @viriss: OK, that's quite powerful. His alone offers some (even though admittedly rather weak) protection or some quite solid ramp and his offering a permanent, unremovable anthem for elves really pushes it over the top. Limiting it to druids seems to be the safer call obviously, but some fiddeling with his mana and loyalty costs would work as well. 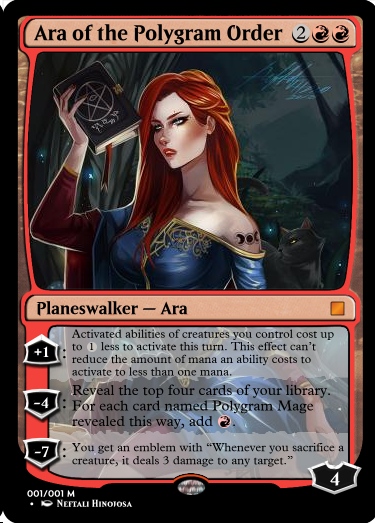 @Tesagk: So here's the first of two transforming planeswalkers to look at. First of all: Using the „Partner with..“ mechanic to fulfill the given challenge was a clever choice – even though it's a bit odd for Teferi not have Partner himself and for the two cards not to really interact and/or work well with one another at all (with the second thing bugging me more than the first). Looking at the individual card I have to point out how incredibly wordy it is (nine lines in creature form plus eleven as planeswalker) and how there are some wording issues. The creature half is missing the „you“ in her first ability on the render, why does her second ability refer to „another“ artifact, and it should be „battlefield“ in her third. 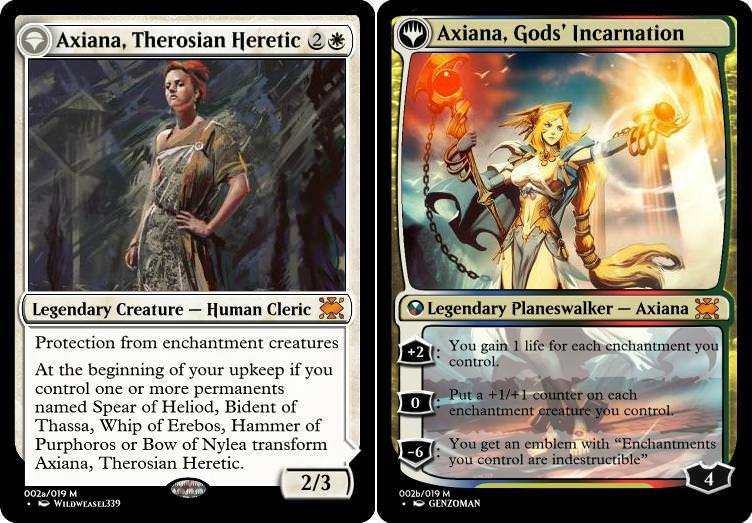 Her planeswalker half's should say „Draw a card, then discard a card: If you control a Teferi planeswalker, draw a card and you gain 2 life instead.“ (sadly you can't use the „unless“ wording because of the life gain) and I'm not sure modular abilities like the tokens created by her possess works without bulletin points? 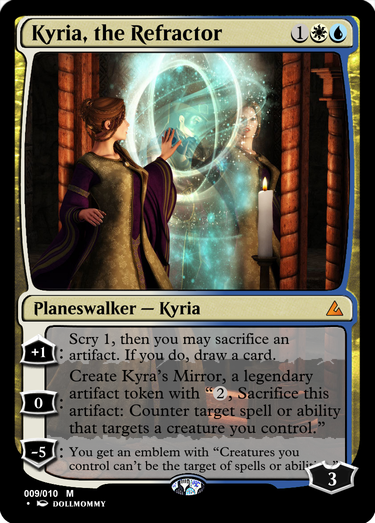 Finally, it feels like her planeswalker self actually looks a bit too weak considering we're talking about a three-colored CMC4 card you still need to get to transform. So as much as I like the general concept of the card (I really do, even though I guess I'm talking it down so much), it feels like it needs some serious reworking and streamlining. @Flo00: First of all: I like using the random button on challenges like this as well And I think you ended up with an interesting card indeed – but I'm afraid your card ended up being way too strong. Tutoring up the Raider as a for a CMC3 planeswalker alone would be very powerful already, but creating two 1/1 tokens with his other really is too much. And the ultimate being ready the turn after you played him has the potential of doing massive amounts of damage – I do like how it checks the battlefield and your graveyard to nicely work with your given Mogg Raider, though. So as much as I like the concept, the numbers on your card need some serious pondering imho. @mrlozano: That's a very interesting way to fulfill the given challenge and a very nice card in total. The abilities seems to be reasonably balanced and work nicely in a Tarkir setting. Personally I'm not sure whether her backside really needs to be all colors (especially considering her abilities still are monowhite), but that might be me. Also, even though I know this didn't work given the challenge, it might be a simpler approach (while also offering room to add more god weapons in future sets) to as for a legendary enchantment artifact instead of writing out all five names. @gateways7: I guess I have to compare your card to Neottolemo's Ara for obvious reasons. Your Rat King's obviously is quite strong compared to her (considering it will hardly miss) but cannot be broken either as it has a „fixed“ power level – which is a good thing. 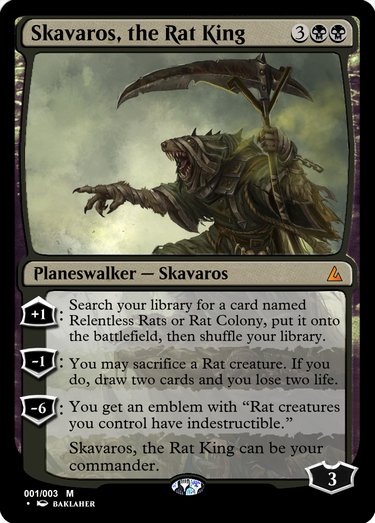 I really like how nice your card plays in a rat tribal deck (kudos for making him a potential commander) even if that deck is not purely focussed on the „Your deck may contain any number..“ shenanigans. 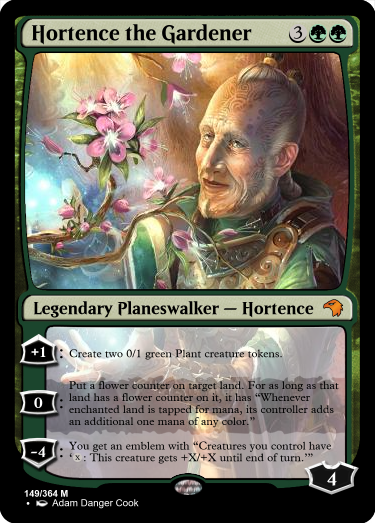 @monger: Another entry inspired by the random button – I like it Also this is now the third (non-transforming) CMC planeswalker and definitely the most balanced of the trio. His looks solid and fittingly in color, while his basically is Liliana of the Veil's – except you also get a 2/2 body out of it, which (as I realize as I'm writing this) probably is a bit much and might be better as ? Not sure, I might be overestimating it as well. The ultimate is also very solid, even though it kind of frustrates my inner Melvin: Why does the reanimiate creatures with total CMC of seven? Personal peeves aside, I do wonder how the ultimate could be broken somehow – as I'm sure it can be (not as this is bad for an ultimate). @gluestick248: Holy crap, what an ultimate! Seriously, it's at the same time awesome as it looks like pure trolling – which makes it a bit hard to evaluate the rest of the card somehow But yeah, the aside, this looks like a very solid (even if maybe a bit bland – but then again, what wouldn't be compared to that ultimate?) 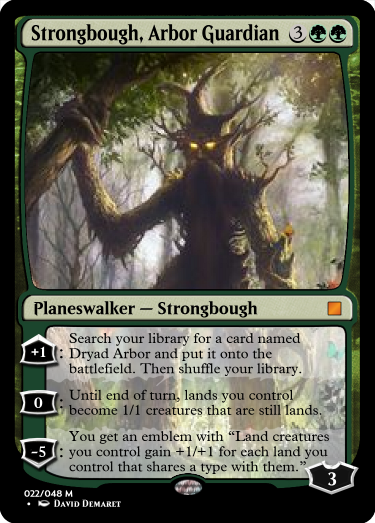 planeswalker. Just a funny wording nitpick: I'm pretty sure the is supposed to say „X or less“ instead..
@Jartis: It's interesting to see how your Guardian's doesn't really interact with the Dryad Arbors you might have tutored up with his but rather it kind of turns all of your other lands into lands creatures as well instead. To be honest I'm not completely sure this combination would play as nice together, but still. I do wonder about the emblem created by his ultimate, though: What kind of shared tye are you referring to? As the dryads would also support creature types I'm not completely sure, but I guess the most likely candidate would be land types instead? 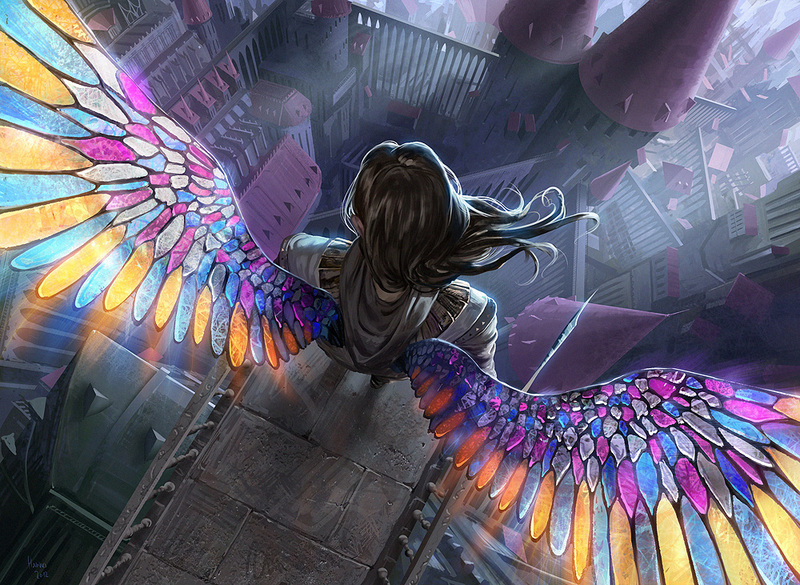 @Fleur de Violet: I guess I'll start with my final summary: This looks like a really solid planeswalker. The is a nice way to give red card advantage, the reminds me of Braid of Fire (which I always loved and is one of the cards which made me a bit sad to see mana burn go away – I know, I'm a bit weird sometimes ) for obvious reasons – and the ultimate, while basically just being “deal 3 damage to three targets” offers some nice flavor and potential minor interaction potential. Costs and stats seem to be fine as well, even if I'd personally reduse the starting loyalty to , I guess. And the winner is.. Fleur de Violet! Runner-ups (in no particular order) go to mrlozano and gateways7. : Target permanent gains hexproof and can’t be blocked until your next turn. : Search your library for a card named Rogue’s Gloves and put it onto the battlefield. You may attach it to a creature you control. : Target opponent exiles the top seven cards of their library. As long as those cards remain exiled, you may play them without paying their mana cost. beginning of your next turn. equal to that creature's power to target player. You gain life equal to that creature's toughness. opponent and you gain that much life." : Draw a card. You gain 2 life. The word is "books" and this guy is a librarian except for your library. Like at a library, you request "books" and he goes about gathering them. : Look at the top card of each opponent’s library. Scry 2.
the + and some other numbers are subject to change. monger and I were apparently in similar headspaces, but I went with porcelain. Each player distributes two +1/+1 counters among one or two creatures they control. For each creature with a +1/+1 counter on it, double the number of +1/+1 counters on that creature or destroy it. : Put a whiskey counter on a creature chosen at random. For as long as that creature has a whiskey counter on it, it has "At the beginning of your upkeep tap this creature. It deals damage equal to its power to any target chosen at random." : Destroy a creature with a whiskey counter on it chosen at random, then put a whiskey on another creature. : You get an emblem with "At the beginning of your first precombat main phase, gain control of all creatures with whiskey counters on them until end of turn. Untap them." Notes: His abilities don't target on purpouse, dont let Hexproof mess with your party of randomness! : Until the beginning of your next turn, the next time target creature would deal damage, draw that many cards instead. : Target player skips their next untap step. : You get an emblem with "If you would draw a card, you may instead search your library for a legendary card, reveal that card, and put it into your hand. Then shuffle your library" and "Whenever a creature you control deals damage, draw a card." Legendary things have the best stories. The ultimate's kind of weak in exchange for a much more powerful and . I left it "deals damage" not "combat damage" to include fighting. So ultimate, then , then fight and kill your opponent's creature and draw a bunch of cards. 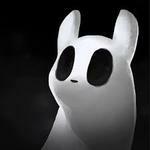 Her relationship to books is a bit tenuous, as she uses scrolls, but I couldn't find the term for a story mage. Okay. I've deleted my review twice in a row now. DM me for detailed feedback. Flo00 with Ashton wins, with Xenozfan2 and kinotherapy as runners-up. Sorry for the late judging, guys. 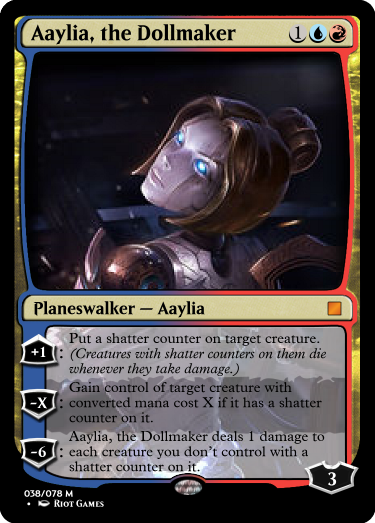 And here is your next challenge: A build-araound planeswalker! 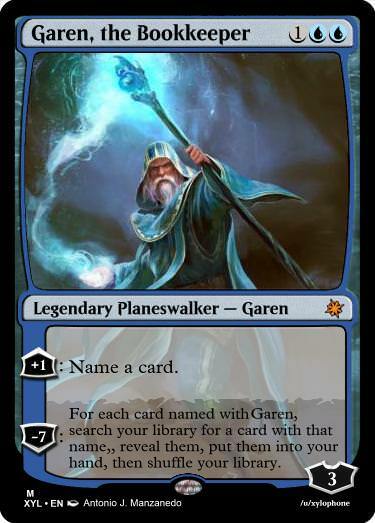 That is, a planeswalker that needs the right deck around it to work propperly and/or that makes you to do certain deckbuilding decisions you normally wouldn't.